Junichi Chano is Executive Director of the Japan Foundation Center for Global Partnership (CGP), which promotes U.S.-Japan intellectual and grassroots exchanges. Prior to taking charge of CGP, he served as Director General of the Japan Foundation New York, where he oversaw the foundation’s cultural exchange programs to the United States. Chano joined the Japan Foundation in 1982 and initially served as Deputy Director of the Bangkok Office. In 1996, he was appointed Director of CGP in New York to manage institutional grant and fellowship programs which supported U.S.-Japan policy-oriented research and dialogue initiatives. 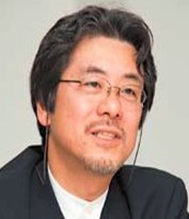 His other positions at the Japan Foundation include Managing Director for Japanese Studies and Intellectual Exchange Department (2007-2008), Managing Director for Financial Affairs Department (2008-2010), and Special Assistant to the President (2010-2011). Junichi Chano received his Master’s degree in governmental administration from the University of Pennsylvania, and a B.A. in sociology from Doshisha University, where he currently serves as a Visiting Professor. In 2011-2013, he was affiliated with Johns Hopkins University’s School of Advanced and International Studies (SAIS) as a Visiting Scholar. He is well connected with academics, policymakers, journalists and foundation officials in both countries, and seeks to further solidify intellectual linkage and exchange between the U.S. and Japan.